It’s Fave Friday, I am sharing more of my favorite things. Pajamas are one of my favorite things to buy. I love pajamas that are comfy, soft and perfect for relaxing. I recently snagged some cute pajamas from Walmart. These Pajamas were perfect for me for several reasons. 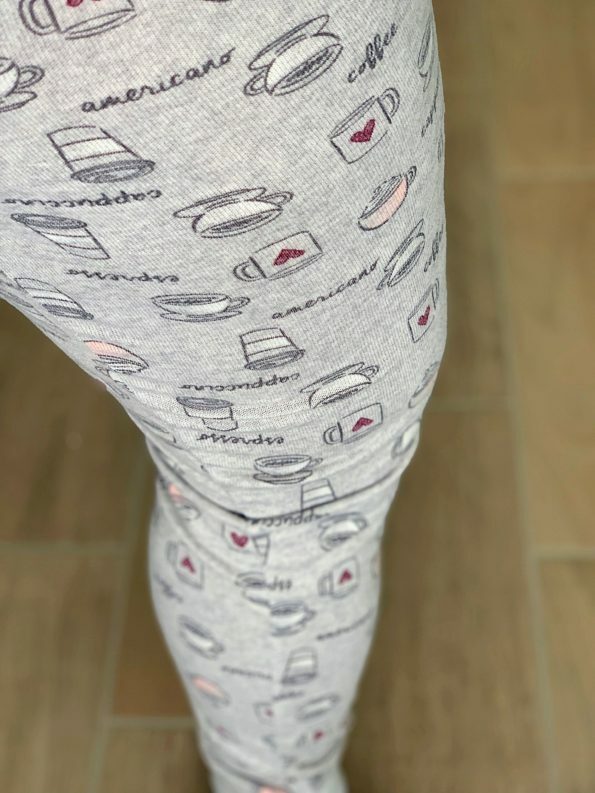 The pajamas print were related to coffee. 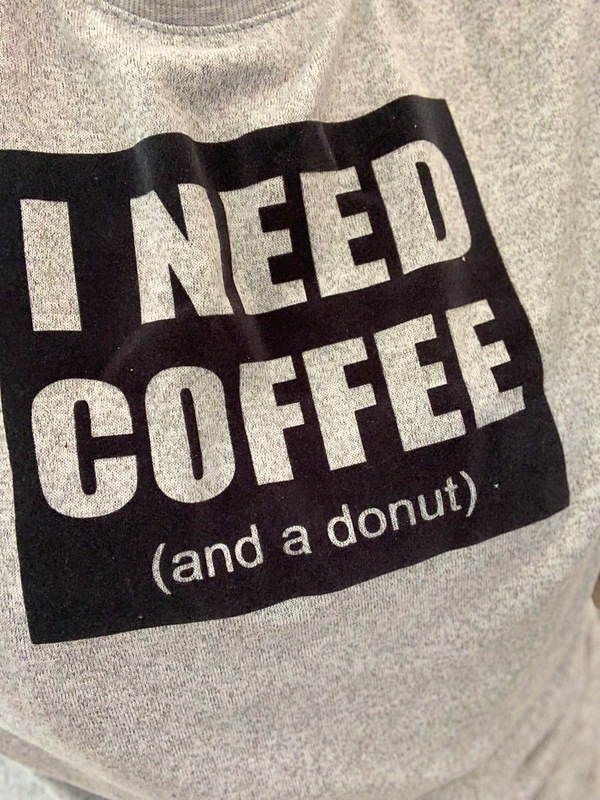 We have already determined that I love coffee. These pajamas continue this truth. 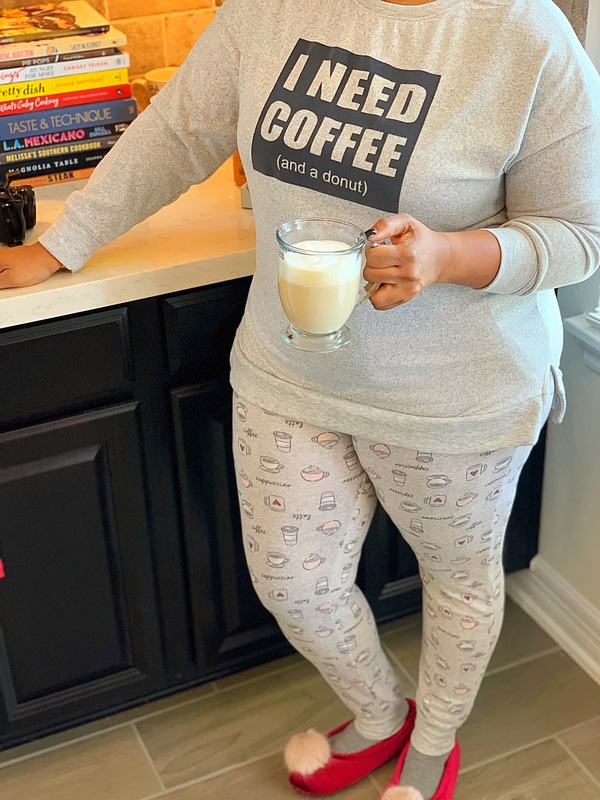 The sweatshirt styled lounge-pajama wear was so soft and light weight. The top said, I Need Coffee and A Donut. Cute enough to be worn as a top with the cute slits on the side. The pajamas were light as well with coffee prints and a legging style fit. My slippers are my absolute fave. The slippers are from Old Navy. So cute. The pom pom on top of the slippers are the best. 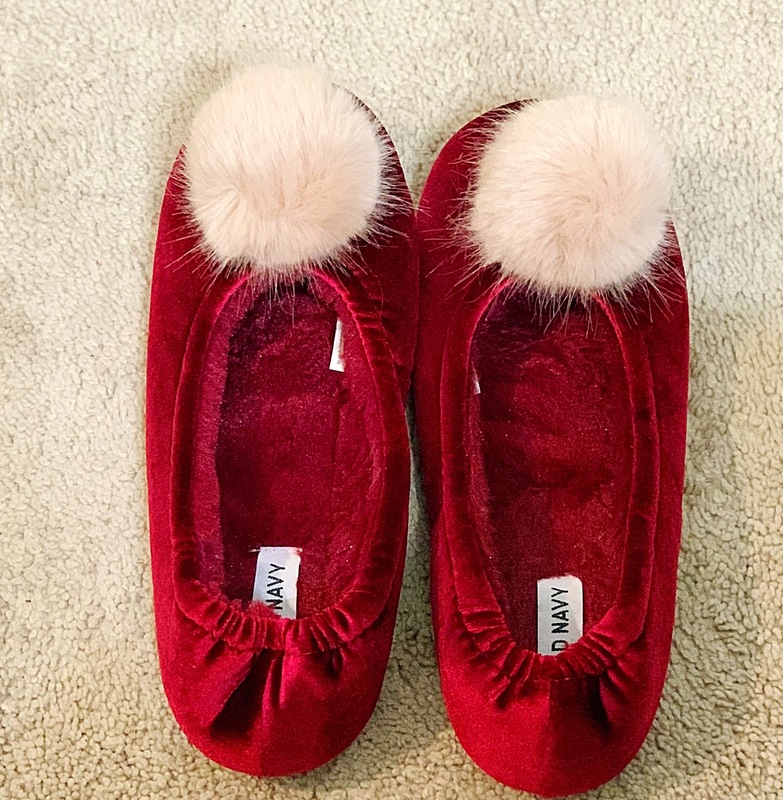 Velvet Faux-Fur Pom-Pom Slippers that made me think of Tinker Bell. Perfect for a cold day! So comfortable. 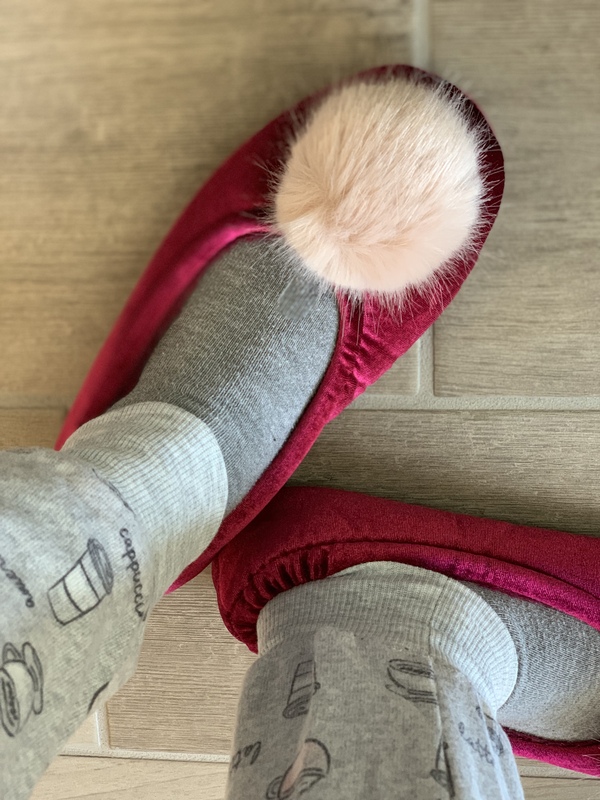 I shared my obsession for pajamas and slippers with you because a nice pair of pajamas is perfect for a day of relaxation. We all need time to relax and unwind from a busy week. 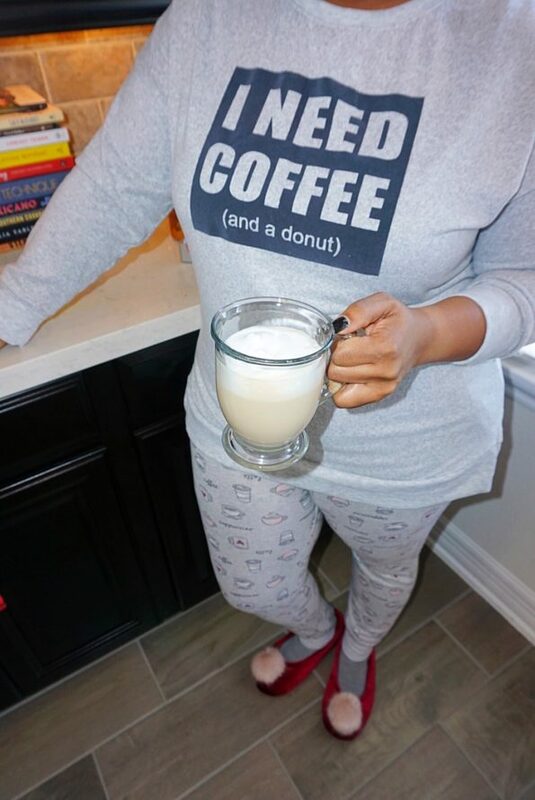 Why not do so in a pair of comfy pajamas, slippers and a nice cup of coffee. Guys valentine’s day is right around the corner. Add a pair of pajamas and slippers to your gifts for your lady. You will thank me later. Cheers to a good weekend! Happy Friday!